Jordan Village | Growth Driven Design | H&C Inc.
Jordan Village is a unique destination nestled in Niagara's scenic wine country. It is home to notable spots such as Inn on the Twenty, Cave Springs, and many merchants including shops, bakeries, and art galleries. It is considered one of Niagara's best detours, situated in the beautiful Niagara Escarpment and flowing with charm. We undertook the reimagining of the visual identity and digital presence of this beautiful locale. Jordan Village had an outdated and eclectic aesthetic in need of new life and refinement. The existing look represented some elements of this thriving destination, but not all, it was in need of new life. 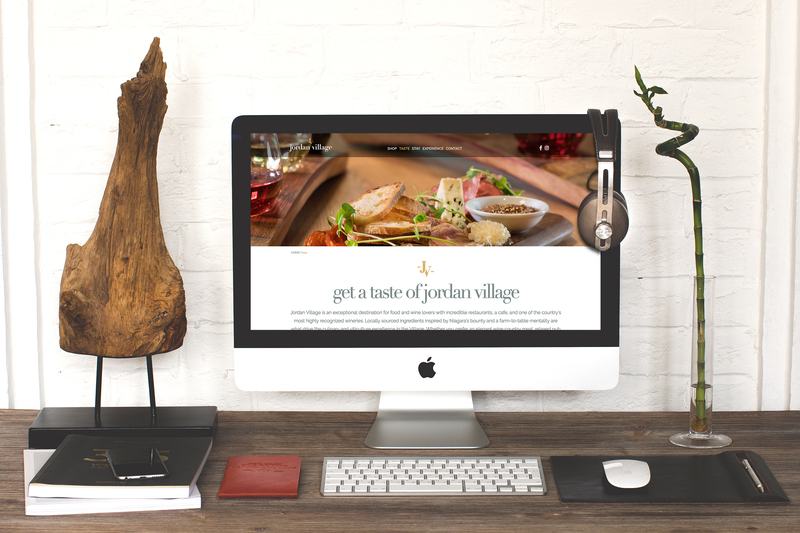 H&C Inc. developed a creative, elegant brand and digital home that makes space for Jordan Village to thrive. 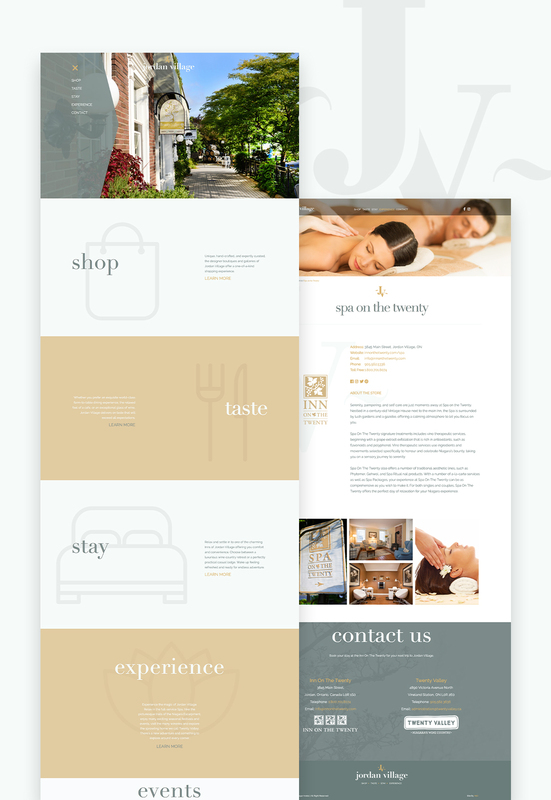 We developed a design and content strategy that showcases each of the unique locations within the Village, shining light on what makes them special, unique and a must-add to your Niagara itinerary.  Jordan Village is exceptional, they officially have a brand to match.